Often referred to as a “city of neighborhoods,” Baltimore is rooted in variety. A cornerstone of America since its founding in 1729, the city sits upon a harbor of history, out-of-this-world crab cakes, and exciting cultural events. Home to over 750 species, the National Aquarium has earned status as one of the top aquariums in the nation. The behemoth space celebrates the beauty of sea life, and attracts millions of visitors each year. With exhibits dedicated to native Maryland species, Australian phenomena, and the Amazon River Forest, the aquarium houses an ocean of knowledge. One of the newest exhibits, Living Seashore, provides the opportunity to touch creatures like moon snails, stingrays, and even jellyfish. We’re all a little weird, and at the American Visionary Art Museum, that weirdness is a cause for celebration. With dozens upon dozens of works by self-taught artists, the museum’s mission is to exhibit art in all its forms, from all walks of life. Imagination is key within these walls, and with traditions like holiday art markets, a high-concept museum restaurant, and fabulous educational programs for kids, the imagination is free to run wild. 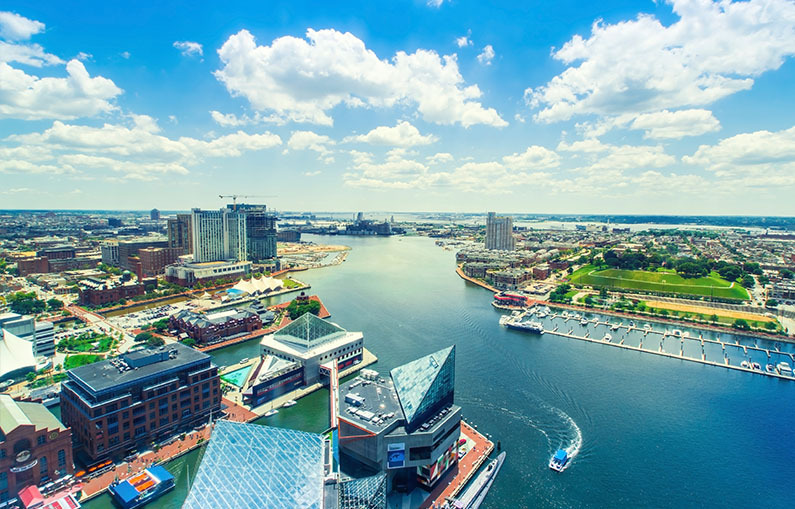 The Baltimore Harbor is one steeped in history; the site of the Historic Ships in Baltimore is the perfect place to discover those august tales. Take a water taxi out (water lovers could spend an entire day just doing that) and explore this fantastic collection of military vessels, including the US Coast Guard Cutter Taney and the US Sloop-of-War Constellation. The experience offers half day and overnight programs for classrooms, making it one of Baltimore’s most unique teachers. To plan your trip to Baltimore or for an extended guide of things to do, visit the official Baltimore city guide at http://baltimore.org.